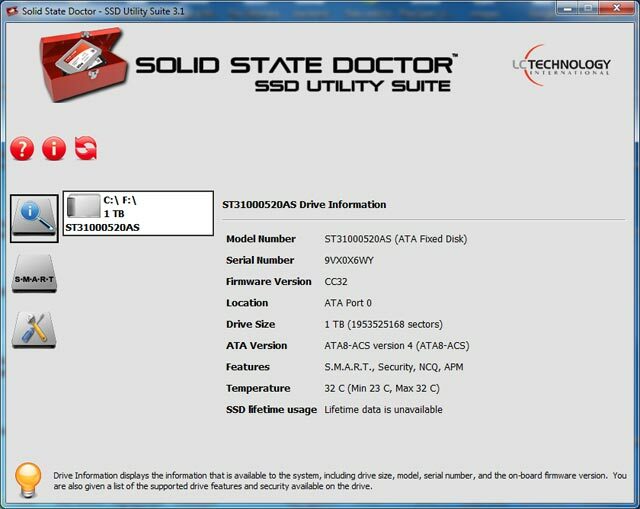 The Solid State Doctor SSD Utility Suite is an essential tool to provide performance enhancement, SMART monitoring and data security for Solid State drives. Manually execute or set the TRIM service to maintain the write performance of the SSD. Solid State Doctor is an essential tool to provide performance enhancement, SMART monitoring and data security for Solid State drives. Manually execute or set the TRIM service to maintain the write performance of the SSD. This suite is designed to enable faster performance by giving the user control over TRIM as well as predict end of life by monitoring the lifespan based on SMART attribute status of your SSD on Microsoft Operating Systems. Quick Recovery Lotus Notes Server is a do-it-yourself non-destructive Data Recovery Software, supports FAT16, FAT32, NTFS, NTFS5 file systems, and recovers data from disk crash, deleted files and inaccessible disks. Data recovery tool for FAT flash drives - find, preview and restore accidentally deleted data even flash drive was formatted. Deleted files, documents, images and other information can be effectively recovered and saved without any special skills. Quickly make multiple subfolders within a folder. You specify how many folders to create and each folder is automatically created with a distinguishing number (counter) attached to it to unique. Recovery Explorer Professional is a powerful utility for technical specialists who deal with data recovery from Windows, Linux and macOS file systems as well as RAID systems of different configurations. Recovery Toolbox for PDF is designed to help users recover data from damaged PDF files by using a highly efficient recovery engine with a user friendly interface.